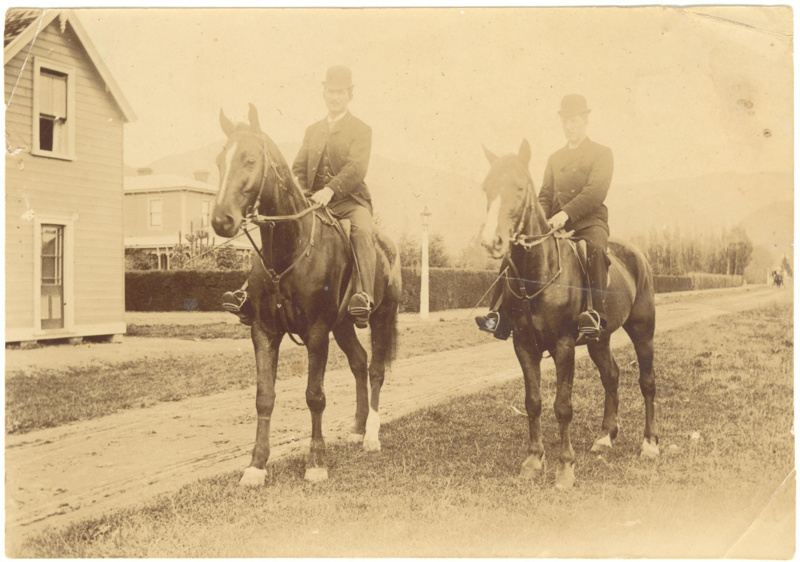 Photograph, Untitled [Two men riding horses]. 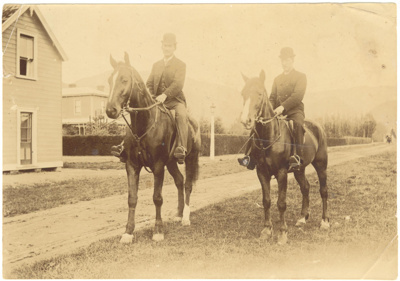 A small sized black and white image of two men riding horses. In the background is a road, several houses and a street lamp.